Hi, I'm getting a driver error in my Win 10 control panel for the Rift CV1. Is there anything I can do to sort this out? I can't say when this error has first occurred as I've only just noticed it, but it wasn't there from the start when I first installed my Rift, so I'd say it has only been recent. I also have an issue with my rear tracking LED's no longer working, which I already have a support ticket for, but this has happened since then. Apart from the rear tracking problem the Rift seems to still work OK though. Try to disable Power Management for this device. Did the trick for me. If Power Management tab is unavailable - try to reconnect USB cord again. Restart the PC often works. 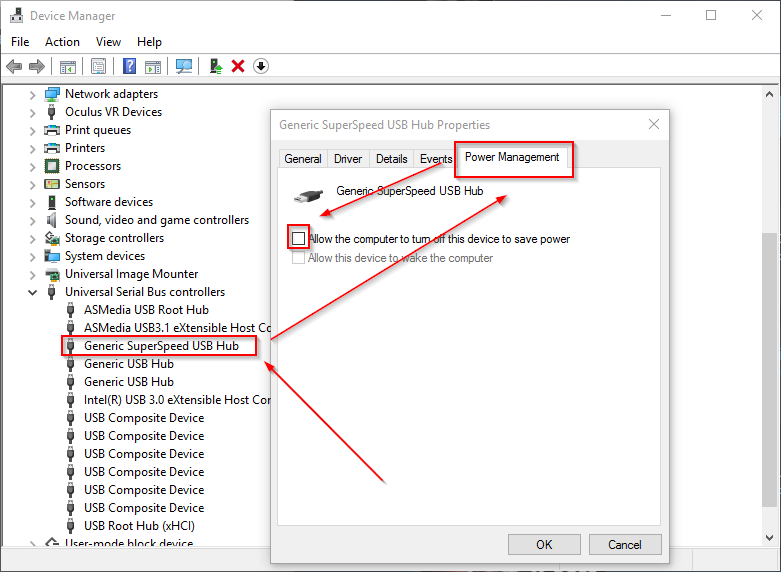 Otherwise, uninstall the Generic SuperSpeed USB Hub in device manager, then restart. The Hub always comes back and (so far) always with no error. I'm almost certain this is a timing issue at the hardware/driver level between the USB controller and the Rift, and probably a nightmare for Oculus to reproduce and fix. Of course, my problem might not be the same cause or workaround as your problem . Try installing the drivers for the USB controller. These will typically come from your motherboard vendor. Doesn't fix it for me, sadly. I managed to solve this issue by reverting Windows 10 to older state. After last (forced) Windows update the XBox controller was not working at all and was seeing the same Generic SuperSpeed USB Hub issue. For me, the hub issue predates Anniversary update. Neither default Windows Intel chipset drivers nor Asus chipset drivers have any effect. Anniversary update hasn't made it worse. And here's another one with the same issue. I've been in contact with Oculus support sending them logs etc but so far they haven't been able to find the culprit or even less address the issue. Also the issue will probably not get very high prio since it doesn't affect the performance of the Oculus hardware, at least not in my case. My own guess would be it's a timing issue of some kind since it doesn't happen all the time but only randomly which seems to be the case for a number of people. Anyone in here made any progress or even found a solution? Seeing same thing here. Asus Z170-A mobo. Everything seems to work alright, but windows device manager shows code 31. I am having the exact same problem, has anyone found a solution? I've fixed by changing USB ports. I've plugged the rift on the usb 3.0 from the MB back panel and the sensors on the USB 3.0 ports coming from a 19 pin cable attached to a USB 3.0 internal header. Before that the rift and the sensors were inverted and I had the error 31, now the error seems solved. Changing power management in every way, using differnet ports and even different PCIe controllers have no effect, the problem always remains. To me it seems that this is some kind of a timing issue when windows boots, too. This is strange since Z87 boards, at least my ASUS, are really stable and I don't have any USB3.0 problems with it, neither on the ASMEDIA nor on the Intel ports. When Windows cannot even initialize a device on the USB ports and/or yellow exclamation marks..this is a more serious issue than a mere timing problem. (Whereas there DO indeed timing problems exist but IMHO they are more related to the Oculus software, such as that one out of 10 times or so Oculus sees the HMD as 2.0 and not as 3.0 or something when starting, but NOT related to anything in device manager). 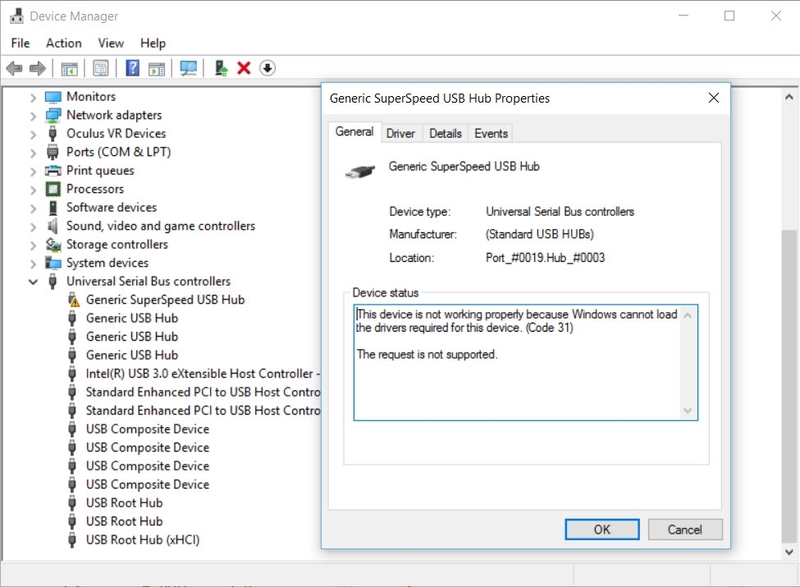 Anyway, if you cannot get USB devices properly detected and installed in device manager, I recommend you UNINSTALL the USB devices from Win device manager completely, including driver files. You can also get a tool called USBDEVView and de-install your USB devices with it. It's important that you really wipe whatever old drivers are there since there seems to be a conflict somewhere. Cold-start your PC and then have it find/install drivers for your USB ports/hubs. And then re-install oculus exactly and step-by-step following their instuctions. (I don't remember whether I actually first installed the software and THEN plugged the stuff in or whether I plugged the stuff in and THEN installed...anyway I did it exactly as in the instructions...and there SHOULD not be any problems really). I had the same problem with my Z87plus. I've changed some seetings in the BIOS that solve my problem. To Advanced tab, then USB config. The rift in plugged on the top back USB panel. Hope it's gonna work for you. PC Specs: i7-4770k @ 4,5 Ghz (OC), 16 Gb DDR3 2400 Mhz, MSI GTX 1080 Gaming X 8 gb, SSD Samsung 850 PRO 250 Gb, SSD Samsung, 850 EVO 500 Go, 650 W Certified PSU, Acer 27" monitor, Xbox360 Controller, Windows 10 64bit. I now have same above mentioned error. Try changing the startup mode for the Oculus service to Automatic (Delayed Start). Doing this fixed the problem for me and this again clearly suggests a timing issue as I said before. Haven't tested yet if anything changed with the latest drivers that was released the other day. 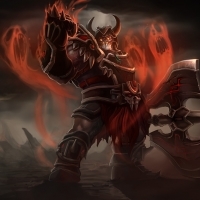 Maybe they finally fixed the problem now meaning this work-around no longer is required. I get the same error as well. The common link to this is the inateck pcie usb 3 card. Isn't that the card recommended by Oculus to avoid USB issues? Yes. But the common denominator is that card. It definitely something going on with the drivers. Everyone that is getting that error as well as myself is using the inateck card. Can't be a coincidence. I just wanted to say, you should NOT disable xHCI. Nope. I've been intermittently getting the error for a long time (my posts above September '16), and I'm just using the motherboard (Z97-K) USB. I'm not saying that it isn't being largely seen by USB 3 card users, but it isn't exclusively. So is it some kind of device timing issue with the Rift and USB drivers causing this I wonder? And my next question is. Has this been a problem for people that don't have touch controllers? So it's it some kind of timing issue with the Rift and USB drivers causing this I wonder? And my next question is. Has this been a problem for people that don't have touch controllers? For me it preceded getting Touch. However, it wouldn't surprise me if adding USB devices could change the timings and increase the number of people seeing the issue. So I wonder if it is Oculus related for the root cause of it then. Having the same problem.... The rift seems to work tho. Anything planned o fix this? I wouldn't worry about it. It seems to come and go with various updates. It's not caused me any issues that I'm aware of though. I still have it even now.